5) Run water through the ionizer using the H20 CLEAN mode. DO NOT use any other mode when going through this cleaning process! 6) Allow H20 Clean water to cycle for 15 minutes. simply restart the H20 Clean mode until a full 15 minutes of water flows through the unit. 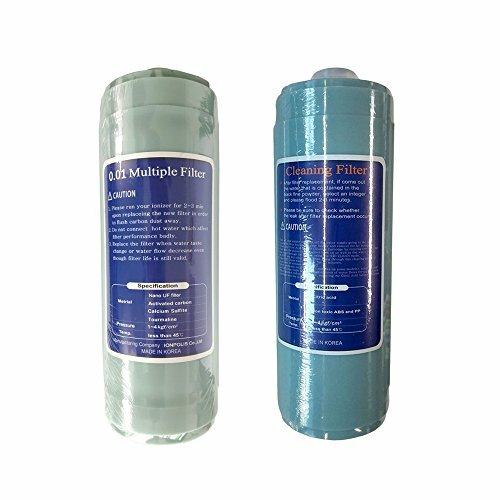 There is no difference in quality between original filter and our filter. Select if you do not have fluoridated water, or if you do and do not wish to remove it. Nano UF Replacement filter rated for 1000 Gals This has raised the bar on the water filtration industry with 99.9% reduction of an exhaustive list of the toughest to remove contaminants. This has raised the bar on the water filtration industry with 99.9% reduction of an exhaustive list of the toughest to remove contaminants. If you have any questions about this product by Ionpolis, contact us by completing and submitting the form below. If you are looking for a specif part number, please include it with your message.